Step 1 Heat a grill to medium-high. Step 2 Grill the whole ears of corn directly on the grill grate until blackened all over, about 15 minutes, turning now and then. The ends of the silks will burn up which is fine. Remove and let cool enough to handle. Step 3 Meanwhile mix together the paprika, salt, sugar, ancho, cumin, and pepper. Step 4 Peel back the corn husks and use them as handles (the silks will come back right along with the husk). Roll the ear of corn in butter then sprinkle with some of the BBQ rub. 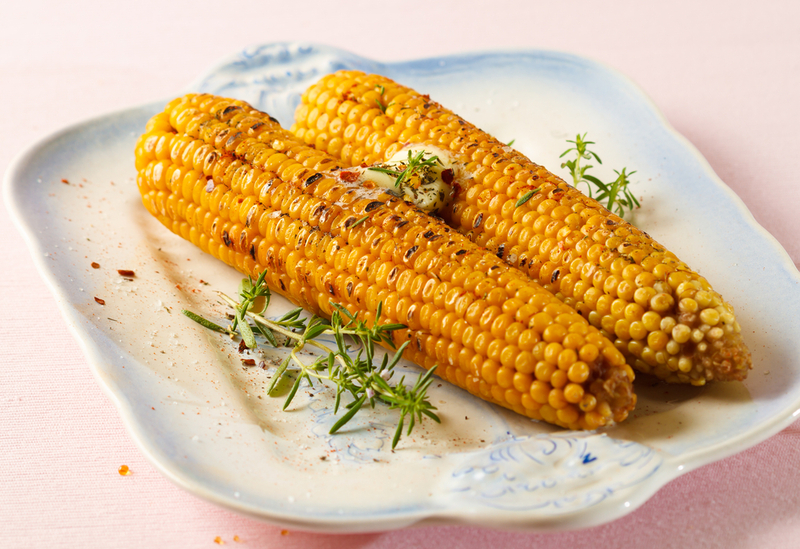 Corn on the cob is a mainstay at any barbecue. The secret to making yours outstanding lies in this sweet and savoury rub recipe.